This is a very special interview. 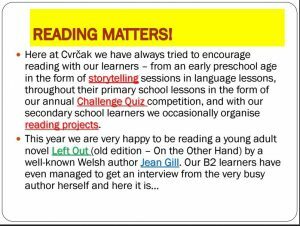 The questions come from Croatian students who have been reading ‘Left Out’/’On the Other Hand’ with their teachers and who wanted to know more about the book and the author. How wonderful for one of my books to go on adventures like this! You should be able to read the interview here and I must say the presentations is excellent! 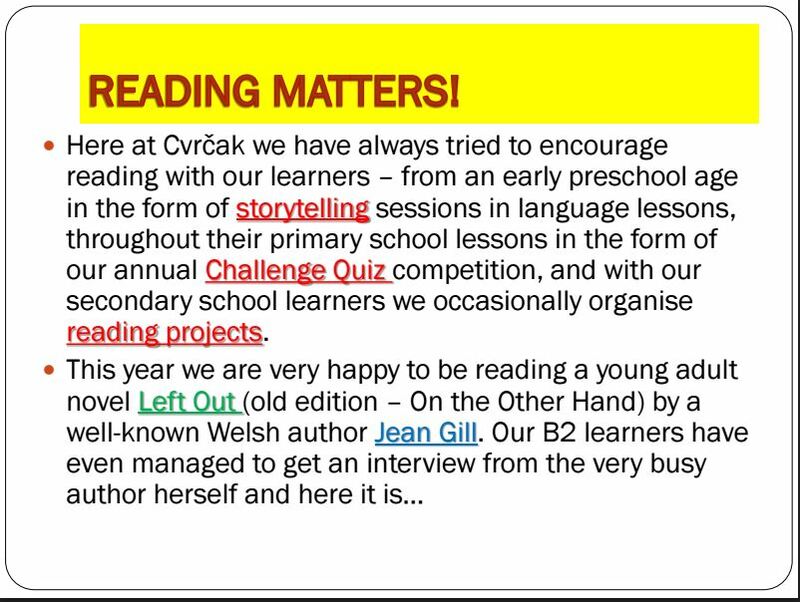 Many thanks to all involved in the school Cvrčak Grupa in Zagreb, Croatia; the teachers and the students for their thoughtful response to my book! The school’s facebook page is here. Thank you do much for taking the time to do this. Can’t wait for the kids to see it! My pleasure and I look forward to their comments!